The first annual Catamount Classic – Lacrosse For A Cure was held at Thayer Academy, in Braintree, Massachusetts on October 12, 2008. The event which raises money for testicular cancer drew close to 2,000 fans and raised nearly $20,000. The University of Vermont Men’s Lacrosse Team alone raised over $10,000 through their fundraising efforts. In 2007 a member of the University of Vermont men's lacrosse team was diagnosed with testicular cancer. As a result, we learned a lot about the disease and what a young man must endure to combat it. Although he was not treated there, Dana-Farber Cancer Institute helped with the diagnoses and discussion of his treatment options. After going through surgery, radiation, and chemotherapy our player is in full remission, but we felt this was a cause that we should continue to be involved with. All of the proceeds from the event are donated to Dr. Mary-Ellen Taplin’s testicular cancer research at the Dana-Farber Cancer Institute. We would like to thank everyone that donated money and time to the event last year. Without all of you none of this would be possible! 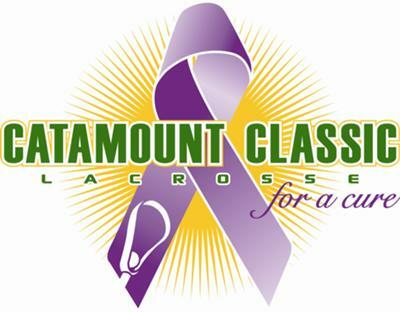 The 2nd annual Catamount Classic – Lacrosse For A Cure will be held at Thayer Academy’s off-campus turf fields on October 11, 2009. This year ten top level lacrosse teams will face off through out the day to help raise money for our cause. We already have a number of lacrosse vendors signed up to attend the event. Players of all ages can enter into free drawings, win some great prizes, check out new lacrosse equipment and apparel straight from the vendors tents and enjoy a full day of great lacrosse! Please visit WWW.CATAMOUNTCLASSIC.COM for more details and event information! If you have any questions or would like to sponsor the event please e-mail Kelly.Curtis@catamountclassic.com.